Easy to use programming software. Even beginners can quickly begin programming through the use of simple flow charts consisting of various software building blocks. The exchange of information can be done through variables and graphical connections as well. This allows the program functions to be displayed in a clear and understandable manner. Compatible with Windows XP, Vista and 7. The graphic programming language ROBO Pro provides all the key elements of a modern programming language, such as arrays, functions, recursions, objects, asynchronous events and quasiparallel processing, making it a useful tool even for professional programmers. Programs are translated directly into machine language for efficient execution of even the most complex programs. 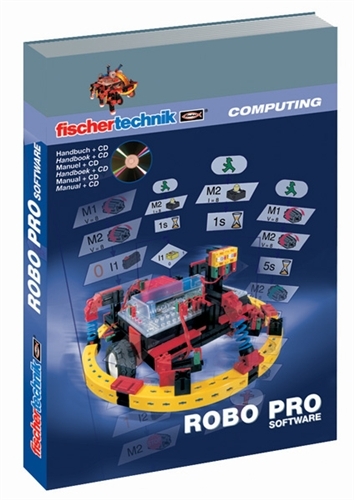 Even advanced programmers will find that ROBO Pro knows no limits. With ROBO Pro, it's easy to write teach-in programs or exchange data with other Windows software.